It Was 41 Years Ago Today . . . 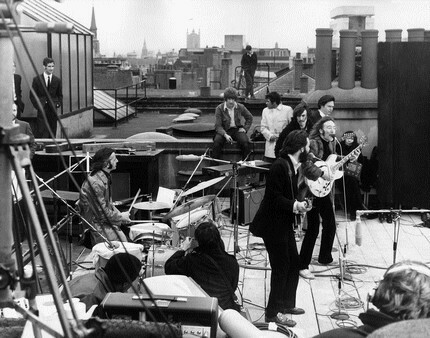 The Apple Records Rooftop Session. January 30, 1969. Check out this quick vid of a automated robot playing vibes. Disco ball, flashing lights, prospective employee interviews, live hip hop DJs, strategic business meetings, photo shoots, comedy shows, freaks of nature, daredevil stunts, video shoots, acts that defy logic or reason — they all happen in here. And there’s never a cover fee. Doesn’t it make you curious? The game is on. Early May is the projected date for the extravaganza. Casino Night, Customers, Innovative employees, Vendors, dancing girls, music . . . should be fun! Customers – Of course we love ’em – but do we show it? We love ya. Below is a quick email I shared with the Innovative team today. Read it and if you’re one of our Customers, let us know how we’re doing. Let’s us know which of the three companies we are. Just post to the blog. And Thanks . . . Thanks for your business. You Rock! Subject: Customers – Of course we love ’em – but do we show it? “Customer Focus” is a motto, a saying, a pleasantry shared by most companies. Yet the actual execution of Customer Service varies wildly across companies. At one company, a Customer service rep answers the phone, helps a Customer and then thanks them for their call. The service rep feels he’s been Customer Focused. Across the street at a competitive company, a team member ends a phone call with a client, thanks the Customer for their call and later that day sends a follow-up email asking what else he can help with and again in the email thanks the Customer for their call. Across town, a young team member at yet another competitor takes a call from a longtime Customer, thanks the Customer for the call and then asks the Customer how she feels about the way she’s been treated and served. After he hangs up the phone, he sends a personal handwritten thank you card to the Customer letting her know how important her business is and thanking the Customer for sharing her input on how he’s been taking care of her company. Are the three companies wildly different in their Customer service? You decide. Then ask yourself; if you had a problem and needed help — if you had a new opportunity — which company would you call? Customer service means you’re grateful for what you’ve been given and will work to help those Customers before they complain of a problem. Customer Service is how you react when you’ve dropped a ball. How you apologize. How you make it right. How you work for the Customer’s forgiveness, knowing that only the Customer’s opinion matters. Customer Service is knowing that the only way you’ll consistently get that Customer’s opinion is to ask for it. Be grateful you get to serve. Not everyone has Customers. BTW, the word “Customer” is capitalized on purpose. Think about Customer in everything you do. They are, after all, who pays your wages. 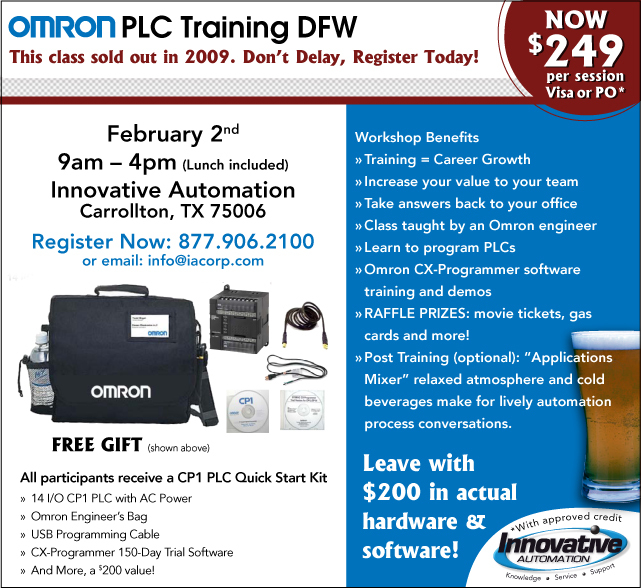 PLC Training is coming to DFW next Week. The headline says it all. Act now. Innovative Automation is the new home of SMC pneumatic products. SMC is the worlds largest manufacturer of pneumatic automation products. You now can call 877.906.2100 or go to www.iacorp.com or email info@iacorp.com and order SMC products starting TODAY. 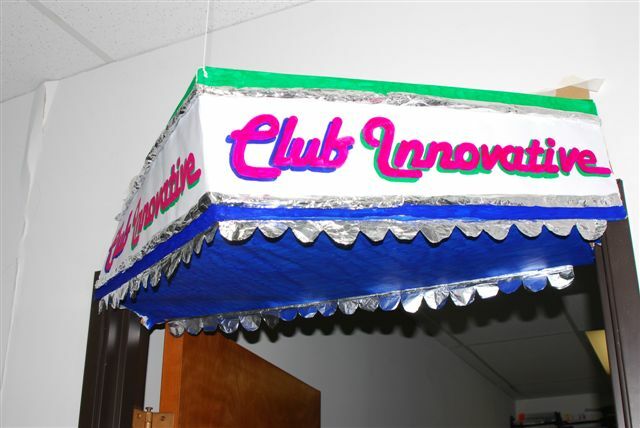 If you have never done business with Innovative, then you have been missing out on the HOME of LEGENDARY customer service. Try us today. You will freak.